Dr. Jack's Visit to Kingston. ”One of the assumptions underpinning the work of Calcutta Rescue is that if you educate a woman, she will pass on that education to her family, and with luck, even to her husband!” Dr. Preger spoke about the efforts made by Calcutta Rescue in women's education through health education in the clinic; through the slum, street medicine and village projects; through the education of clinic staff using workshops; and through their two schools and describe Calcutta Rescue’s attempts to educate the escorts of illiterate and difficult to motivate slum children attending their schools. 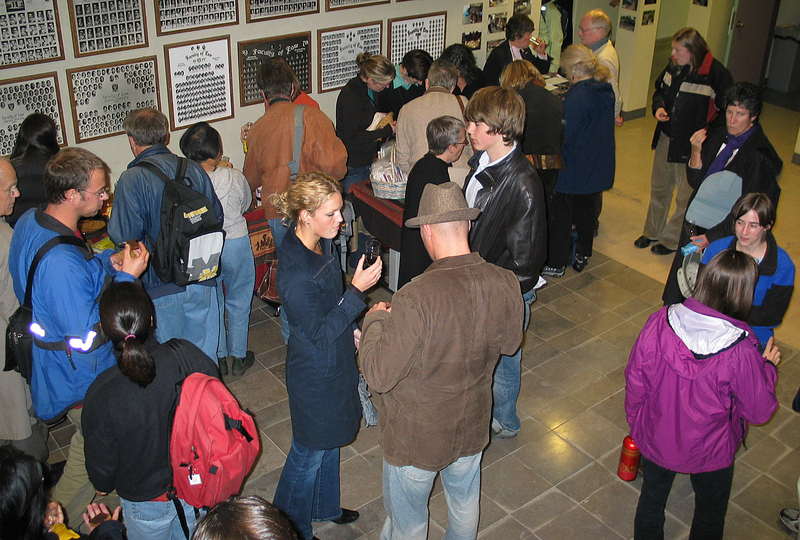 While in Kingston for the Chancellor Dunning Trust Lecture, Dr. Jack spoke at the Ban Righ Centre. He was also invited by the Rotary Club of Kingston, the Rotary Club of Cataraqui-Kingston, and by the Canadian Club of Kingston. 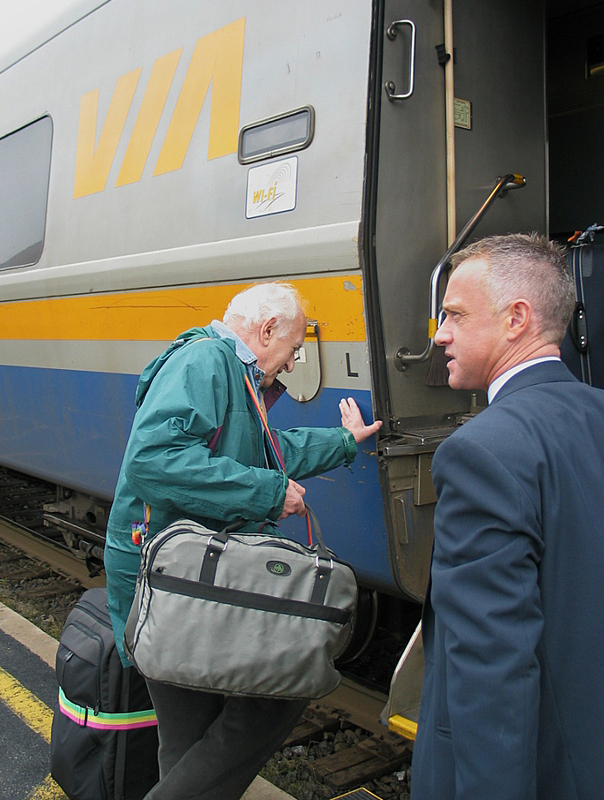 Dr. Jack leaving Kingston for Montreal, November 9, 2006. Au Revoir ! 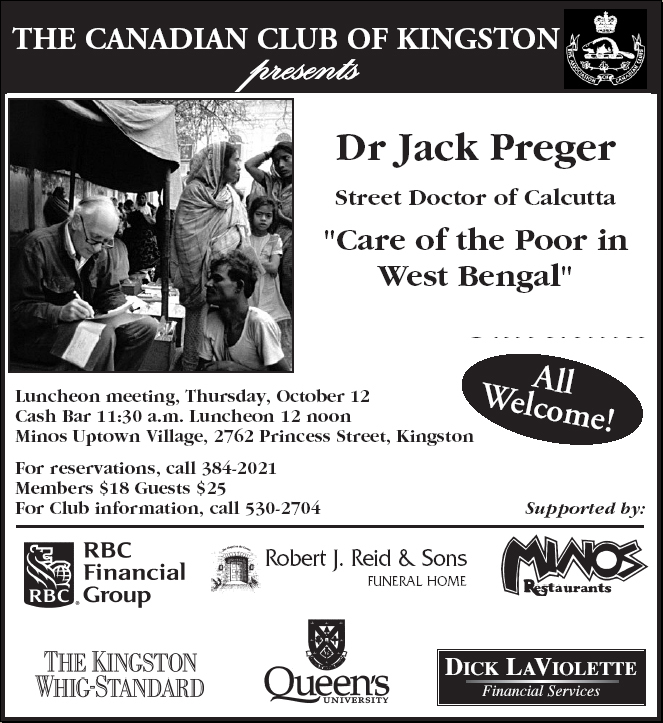 Jack Preger, Street Doctor, Founder and Honorary Chairman of Calcutta Rescue. 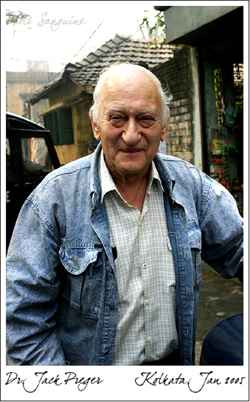 Dr. Preger was born in 1930, in Manchester, England. Several of his close relatives in Germany perished under Hitler. 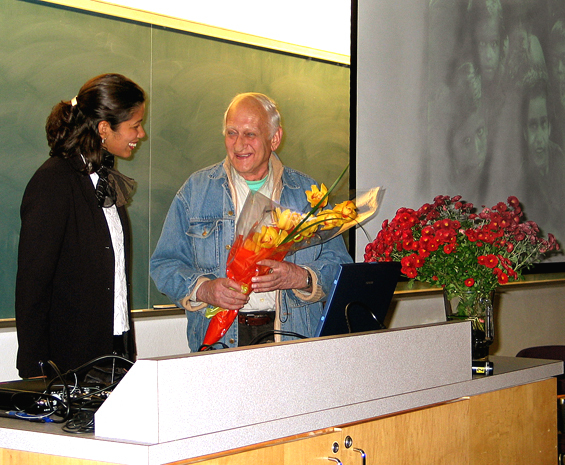 The effects on the survivors which he witnessed led him later to identify with war refugees and other persecuted groups in Bangladesh and West Bengal. He studied Philosophy, Politics and Economics at Oxford, farmed in England and Wales for 10 years, and later studied Medicine at The Royal College of Surgeons in Ireland. 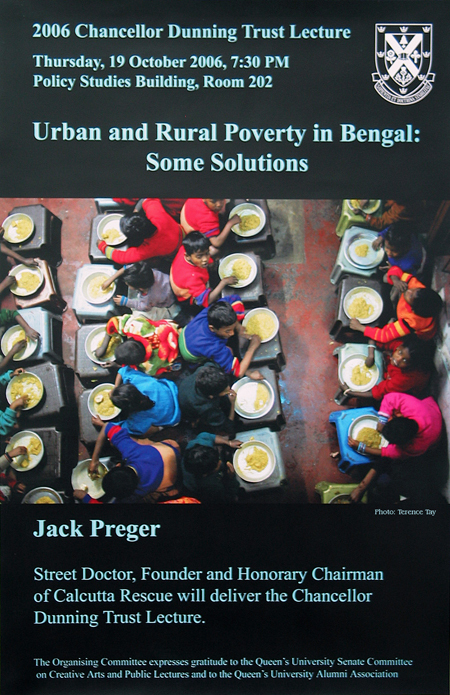 In 1972, after his internship in Dublin, Dr. Preger answered a call for medical doctors to go to Bangladesh, working with refugees, slum-dwellers and vagrants. In Dhaka he set up a 90 bed clinic and ran two farms in Dhaka District for former pavement-dwellers and abandoned children. Seven years later, he was expelled after exposing a government-masterminded racket involving the illegal export of babies by a Dutch NGO, ostensibly for adoption. In 1979 he set up an illegal clinic on the pavement in Kolkata, and founded Calcutta Rescue. There, Dr. Jack, (as he had become known to his patients, the people who live and die around Howrah Bridge and in the slums and streets of Kolkata), was soon jailed as an alleged missionary who had entered India without a missionary visa. Dr. Jack's mission has never been a religious one; his is a humanitarian mission caring for people of all castes and all religions. But nothing has succeeded in stopping this extraordinary man. Through his selflessness, dogged determination, and creative solutions to complex problems, and with the help of his team of doctors, nurses, pharmacists, paramedics, teachers and volunteers, the lives of over a hundred thousand destitute and dispossessed have had some of their dignity restored. Through its manifold program, Calcutta Rescue cares for the sick as well as educates and trains people for work. Funding comes from British, European and Australian support groups. The newl Canadian group, based in Kingston , has become a steady supporter of the work of this inspiring man.